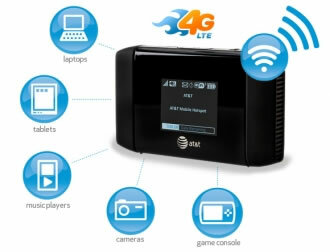 AT&T has announced that they will be extending their 4G LTE coverage to an additional 12 cities starting in April. The telecom company hasn’t given an exact date on when each city will see the new service activated but we can expect the rollout to last until the early summer. The press release highlights LTE coming to St. Louis, the company’s Advertising Solutions home town. In addition to St. Louis, AT&T 4G LTE is also coming to Naples, Florida; Bloomington, Lafayette and Muncie, Indiana. ; Baton Rouge and New Orleans, Louisiana. ; Akron, Canton and Cleveland, Ohio; Bryan-College Station, Texas; and Staten Island in New York City. Once completed, AT&T will be offering the speedy wireless service in 40 markets total. This is certainly good news for customers with compatible handsets and those who may have ordered the new iPad last week on AT&T. The move also brings AT&T one step closer to rival Verizon Wireless and their extensive LTE coverage. Depending on your definition of 4G, three of the top four telecoms in the US claim to have the largest 4G network in the country. Fierce Wireless notes that AT&T’s LTE network currently covers 74 million POPs (point-of-presence) and their HSPA+ 21 network encompasses over 200 million POPs. T-Mobile’s HSPA+ 21 network covers more than 200 million POPs while its HSPA+ 42 handles 184 million POPs. Verizon is said to cover over 200 million POPs with their 4G LTE service.